Are Optimal CO2 Emissions Really Optimal? Although the greenhouse effect is by many considered as one of the most serious environmental problems, several economic studies of the greenhouse effect, most notably Nordhaus's DICE model, suggest that it is optimal to allow the emissions of greenhouse gases (GHG) to increase by a factor of three over the next century. Other studies have found that substantial reductions can be justified on economic grounds. 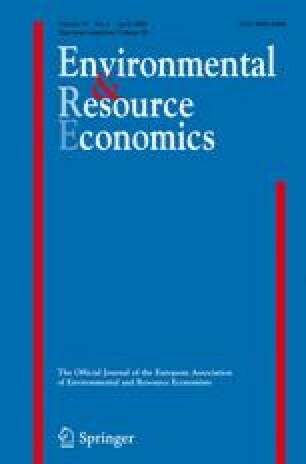 This paper explores into the reasons for these differences and identifies four (partly overlapping) crucial issues that have to be dealt with when analysing the economics of the greenhouse effect: low-probability but catastrophic events; cost evaluation methods; the choice of discount rate; the choice of decision criterion. The paper shows that (i) these aspects are crucial for the policy conclusions drawn from models of the economics of climate change, and that (ii) ethical choices have to be made for each of these issues. This fact needs wider recognition since economics is very often perceived as a value neutral tool that can be used to provide policy makers with “optimal” policies.